Tomorrow the World Open kicks off in Yushan, China and it’s the fits of the “heavy” price money tournament of the season. Most top players did enter – main exceptions being Ronnie and John Higgins – but Shaun Murphy and Stuart Bingham failed to qualify. Ding is the defending Champion. Getting to Yushan is a gruelling trip, it takes between 20 and 30 hours involving planes and cars. Mark Williams posted this picture yesterday … it says it all! Mark Selby won the CBSA Haining Open for the second consecutive year by beating Li Hang 5-4 in the final on Saturday. World number one Selby trailed 3-0 and 4-1 but took the last four frames with a top break of 68. To reach the final at the CBSA Tour event he knocked out Simon Lichtenburg, Paul Davison, Zhang Anda and Gary Wilson and Mark King. 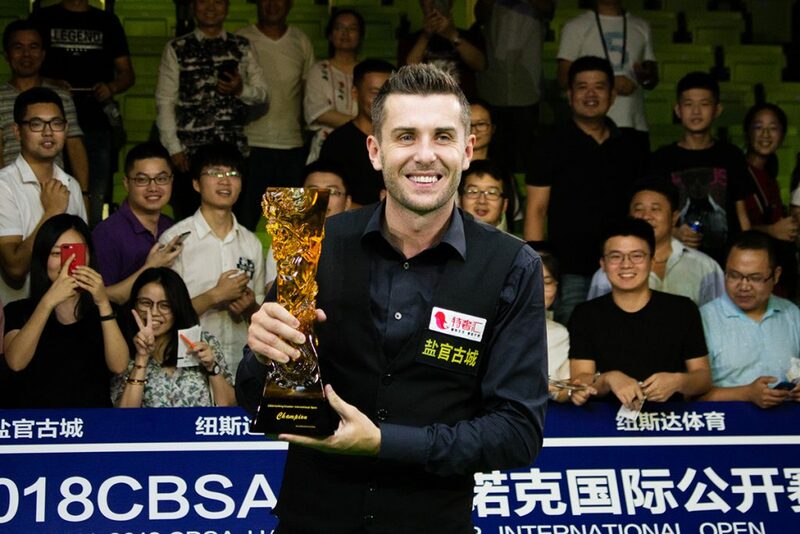 He is the first player to win the Haining title twice. He now heads to the nearby Hong Rui Ma Yushan World Open which starts on Monday. The standard in Haining wasn’t as high as Zibo. Many Chinese pros didn’t even enter, which is surprising considering the proximity to Yushan, and the exotic location. Possibly even some of the players were just using it as a warm-up, and weren’t taking it too seriously. Li Hang’s run is quite telling, as he didn’t qualify for Yushan. The pressure told on him, as he squandered many chances to win. Ronnie was actually commentating on some of the games via a satellite link from Shanghai!